Each state sets fees Notaries may charge to perform notarial acts. 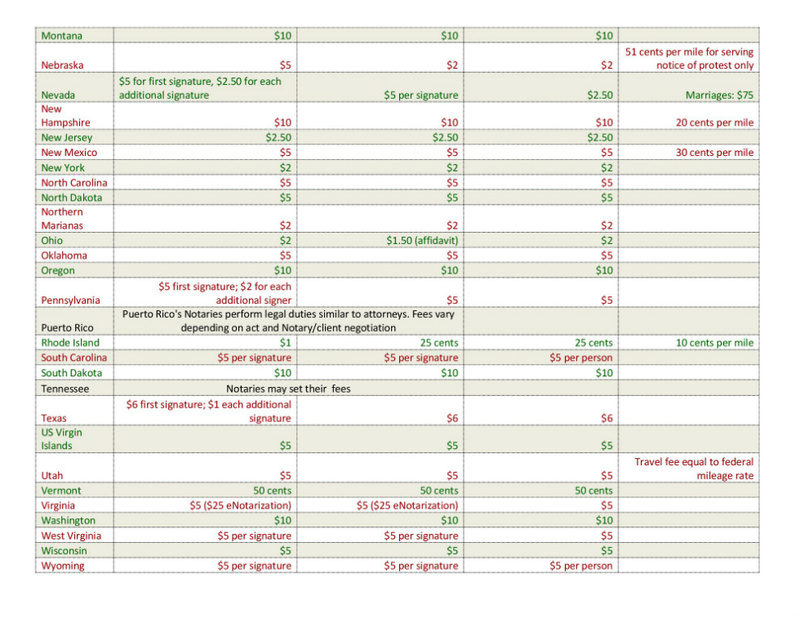 Notaries may charge any fee (or none) up to the maximum allowed under their state fee schedule. 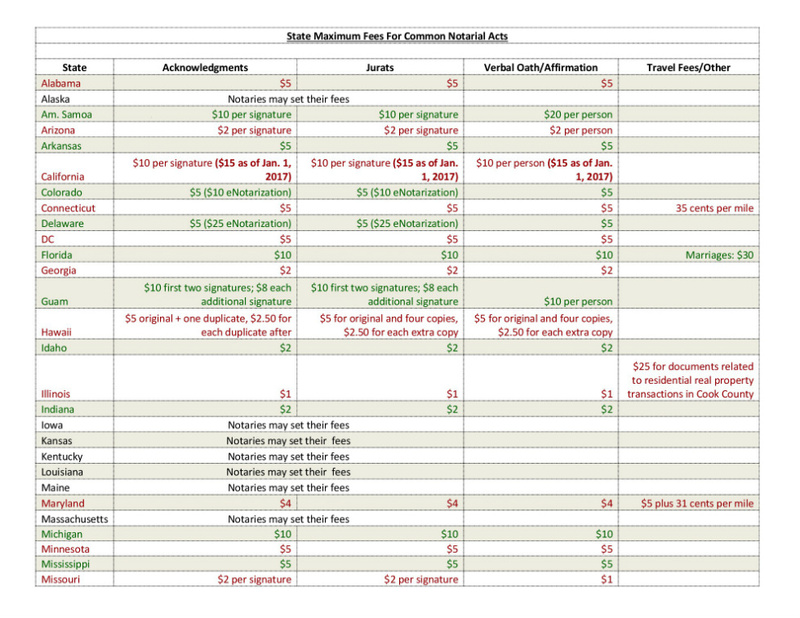 Below is a PDF chart listing each state's fee schedule for acknowledgments, jurats and other special notarial acts.